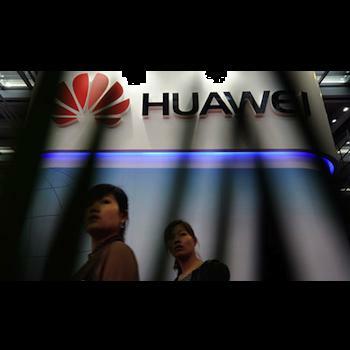 The story following the House of Representatives report that Huawei and ZTE pose a security threat to US national security continues, as international governments examine their involvement with the Chinese companies and look for their own evidence of security risks. In the UK, it has been revealed that a parliamentary committee has also been examining Huawei’s presence in the country for a while, as it’s a major supplier of network equipment to British Telecom, Vodafone, O2 and most other network providers, plus it’s responsible for much of the infrastructure behind EE’s 4G network. Should any discrepancies be identified, the continued rollout of both fiber and 4G broadband could be slowed or halted. Both projects, and the relationship with Huawei, are well established, and disruption would be costly. The report is due to be published at the end of the year. Quite apart from the network disruptions, there’s a political aspect at work too, as Prime Minister David Cameron had a meeting with Huawei’s CEO Ren Zhengfei last month, where a £1.3 billion deal was reached. One of the first stages is for Huawei to move its UK workforce into a new 140,000 square foot office building in April next year. A Cabinet Office spokesperson, Derek Smith, has been talking to the UK press about the government’s view on both Huawei and ZTE ahead of the final report, which is notably different to that of the US House of Representatives. A 2011 report covering the center’s opening from notorious scare-mongers The Daily Mail is far less subtle, starting with the headline “New cyber attack fears over the Chinese ‘Red Army Lab’ being used for BT tests.” The piece goes on to quote numerous security experts who warn against using Huawei’s services, plus it reveals that Huawei has an identical copy of BT’s computers and telecoms system back in its Shenzhen head office, so it can evaluate new hardware. Thankfully, the system isn’t connected to the UK network. For now, it seems Huawei’s operations in the UK are safe, but things will take a turn for the serious — not to mention politically embarrassing — should the forthcoming report not back up the Cabinet Office’s statements, as Huawei is already sitting at the table with its slippers on in the UK, instead of only knocking on the door in the US.